Meteorologist Chris Dunn is the Fishing Weatherman. He is an award winning television broadcaster with 30 years of on-air experience. He also has on the water experience, fishing the waters off Southern California since the early 1980s. In 1984, Chris got his first job as a deckhand on the Pescador (now Islander) running 1/2 day trips out of Queen’s Wharf Sportfishing in Long Beach. After stints on a few other boats around Long Beach and San Pedro, he made the trip down south to work a few of the big boats in San Diego. 1985 was the first year the Spirit of Adventure ran long range/multi-day fishing trips and he was part of the crew for that inaugural season. 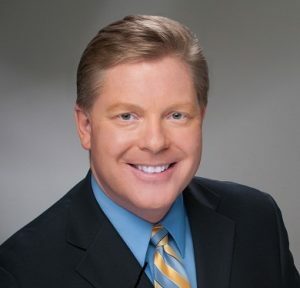 Chris was one of the first meteorologists in the country to achieve the prestigious Certified Broadcast Meteorologist designation from the American Meteorological Society in 2005.